The Legal Aid Society has threatened to take the New York City Housing Authority to court unless the agency agrees to refund up to $15 million in rent to tenants who were left without heat or hot water during this winter’s cold snap. “Unless NYCHA grants abatements, The Legal Aid Society will take necessary legal action to enforce our clients’ rights,” Lucy Newman, a staff lawyer for The Legal Aid Society, wrote in a letter sent to NYCHA on Friday. The group gave NYCHA until Feb. 21 to resolve the issue. New York City has seen the most days below freezing this winter since 1961. The frigid temperatures have taken a toll on NYCHA’s aging boilers, leaving 323,098 residents without heat or hot water at some point during the heating season. NYCHA officials have said that between Oct. 1, 2017, and Jan. 22, 143,000 apartments were without heat and hot water for an average of 48 hours. Using this information, Legal Aid Society lawyers argue that anywhere from $2.5 million to $15 million in rent payments should be rebated based on the average monthly rent of $509, or $17 per day. “Building owners in New York City are legally obligated to provide heat and hot water for their tenants. This right applies equally to NYCHA tenants and those in private housing,” Ms. Newman said in an interview. Legal Aid sent a similar demand letter after Hurricane Sandy; in that case, NYCHA abated $5.6 million in rent payments to 35,000 residents. A NYCHA spokeswoman, Jasmine Blake, said the situation after Hurricane Sandy was different. “Sandy caused residents to be out of their homes for weeks on end due to the catastrophic damage it caused,” Ms. Blake said. During prepared testimony Tuesday before the City Council, the Housing Authority chairwoman, Shola Olatoye, cited a $3 billion loss in federal funding since 2001 and a capital improvement backlog, estimated at $18 billion or more, as reasons for heating troubles. Mayor Bill de Blasio recently announced an $82 million plan to replace 39 boilers that provide heat to 104 NYCHA buildings. Judith Goldiner, head of The Legal Aid Society’s Civil Reform Unit, acknowledged NYCHA’s financial difficulties, but said management’s failure to maintain an appropriate level of staff was also at the heart of this winter’s heating troubles. NYCHA has approximately 248 boiler maintenance workers on staff, down from 391 in 2013. NYCHA has come under scrutiny for its management after its failure to conduct required lead paint inspections for four years. The agency then filed false reports stating that the inspections had been completed. The Legal Aid Society also wants NYCHA to create warming centers and to come under the purview of the Department of Housing Preservation and Development, which could provide a public accounting of heating complaints. Ultimately, a more robust capital plan to repair the boilers — beyond the $82 million promised by Mr. de Blasio — is the only way to prevent this from happening again, Ms. Goldiner said. “This winter was bad. We were freezing in here. 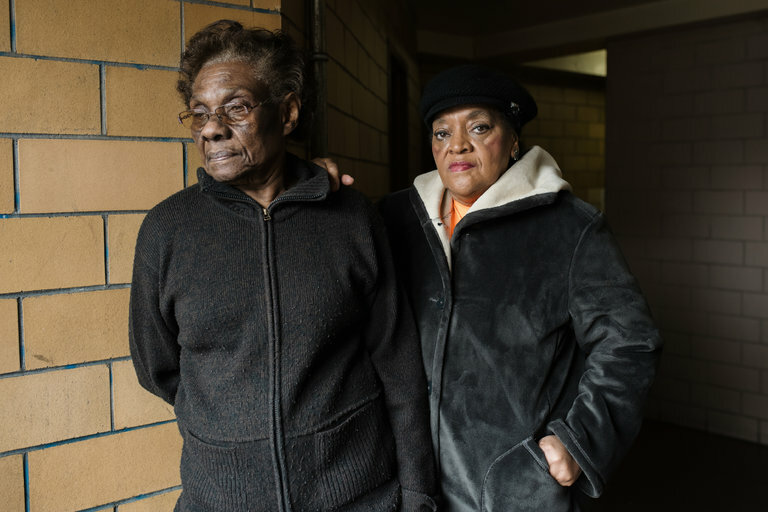 I feel like this was the worse winter ever,” Ruth Britt, 70, a retired data entry clerk who has lived in Patterson Houses in Mott Haven since 1979, said. Ms. Britt and other residents were invited to sit on a heated yellow school bus while workers fixed the boiler, but she declined because there was no restroom. Instead, she purchased electric heaters and used the stove to keep warm. “Instead of putting that bus out there, they should have given us heaters,” she added. Ms. Britt said she and her next-door neighbor, Mary McKelvey, 78, a retired nursing assistant, checked frequently on one another and other seniors in the building because of the fear caused by using the stove for heat. The heat has returned but Ms. McKelvey said she’s not confident about the future. “The heat is good now because everyone is on them,” Ms. McKelvey said.